In the third book in the series, Haggis and Tank’s imaginations take them across the globe -- to Scotland! They fly an airplane, visit a castle, play bagpipes, and even get chased by a... werewolf?! 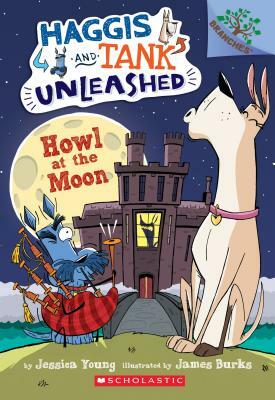 This series is full of clever wordplay and homophones that make Haggis and Tank’s adventures even more fun! And James Burks’ engaging, full-color artwork appears on every page!